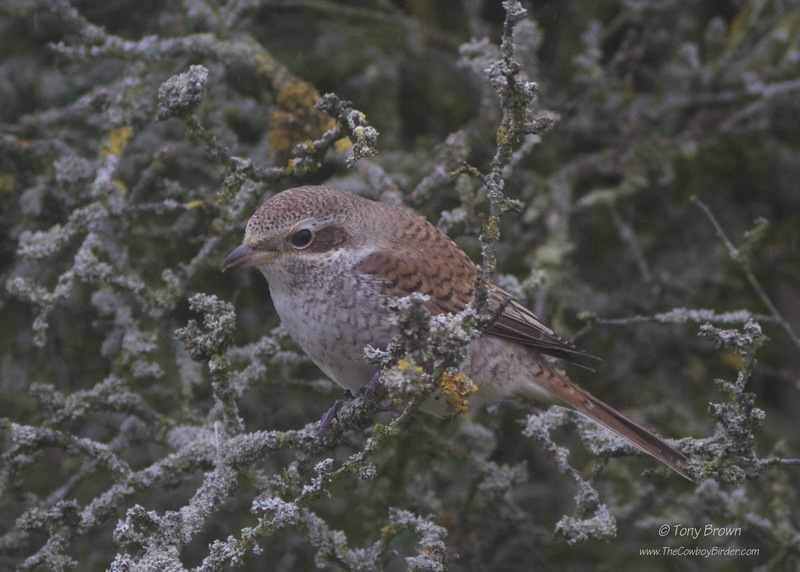 The Cowboy Birder: Camera shy Shrike! 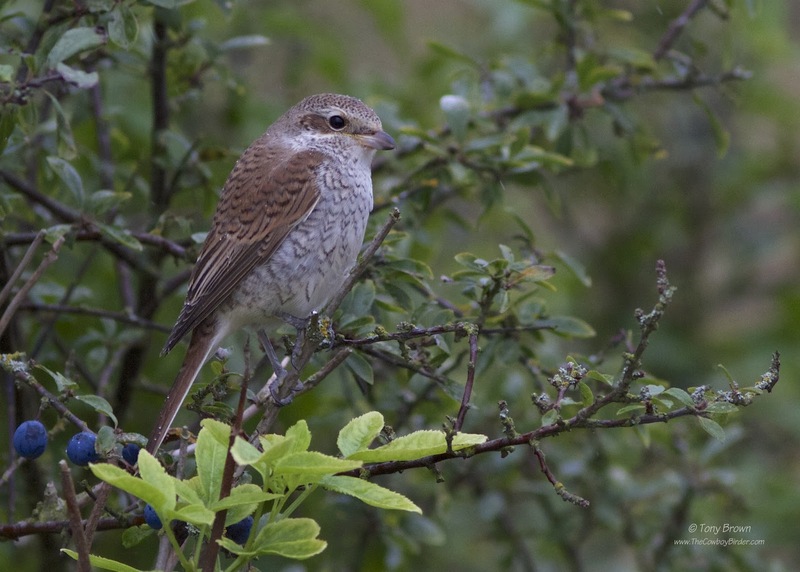 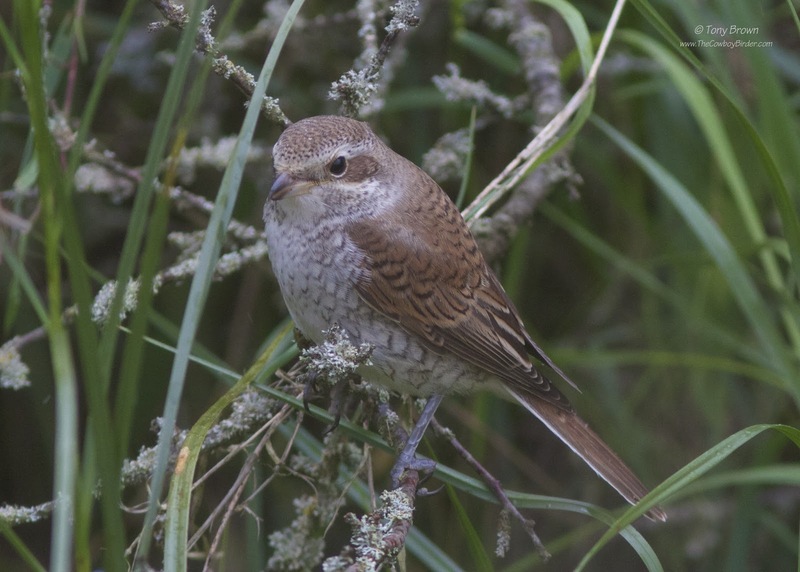 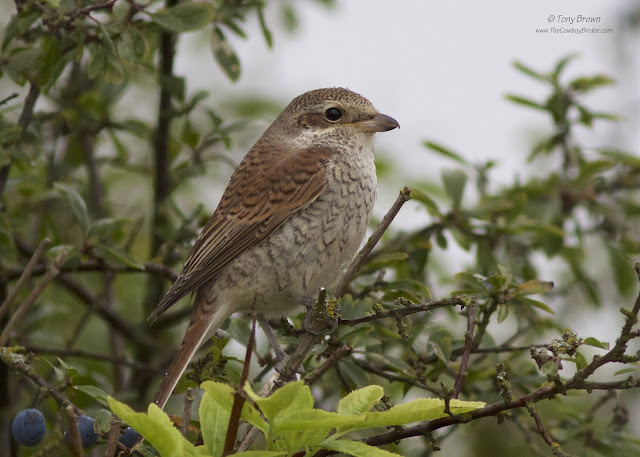 After seeing both male and female Red-backed Shrikes in Norfolk this spring, it was nice to get the full-set this year with an extremely confiding juvenile bird on Canvey, this young whippersnapper is currently enjoying the attention and bright lights of the Island. 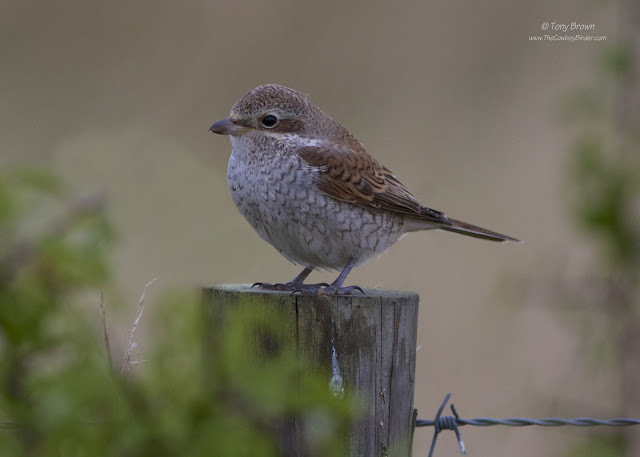 Although the weather and light wasn't at its best when I finally managed to get out on Sunday afternoon, but who cares when a subject is this cooperative and close, it was just a matter of bumping up the ISO settings on the camera and shooting away. And after extolling the virtues of many of the other local bloggers and their great images of this bird in my previous post - I couldn't let this moment pass without throwing a few of my own efforts into the mix!